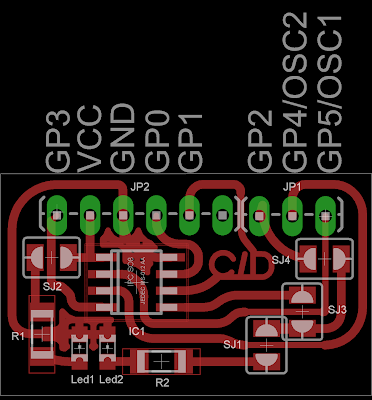 The current project consists of a development board based on the Microchip 12F683. 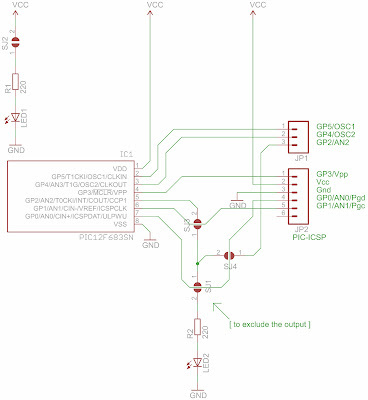 This is an Open Hardware distribution based on GPL license. That's project has been created with the intention to propose to our users (and not only) a board easy to implement, extremely compact and useful in many applications. 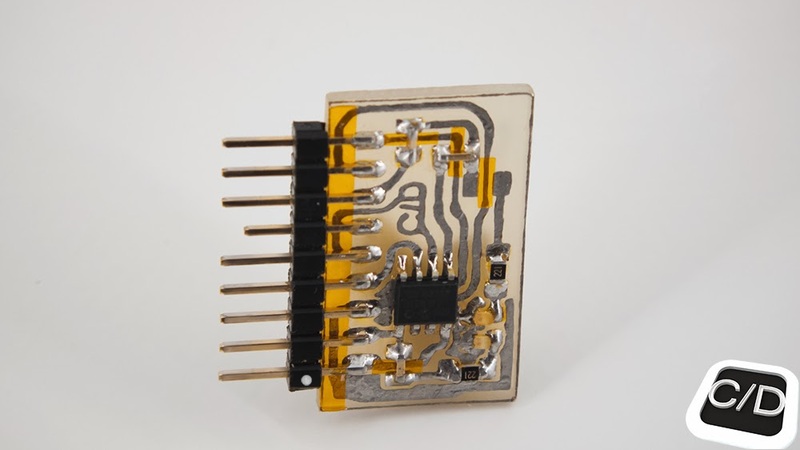 The idea of this project was born from the necessity of create projects focused to mobile; therefore PIC12F683-I/SN was almost immediately our first choice for the features of this microcontroller. In particular, the nanoWatt Technology included allows to reduce power consumption, plus its power supply can range from TTL to CMOS, its analog input has a 10-bit ADC and its output PWMH is very useful if you want to use the Pulse Modulation (for generating sound, the control end of currents, etc..). 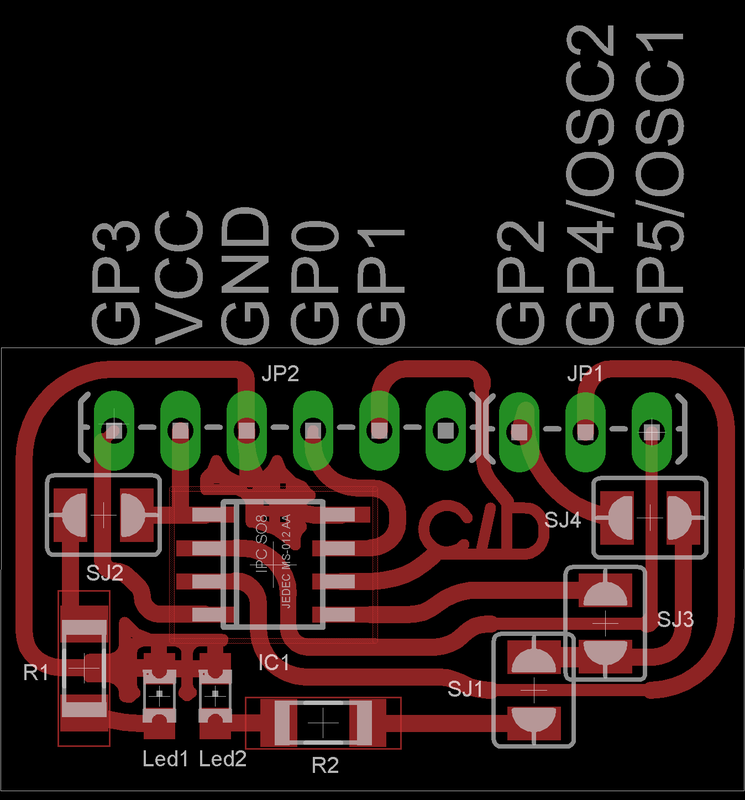 What it doesn't seem as all others development boards is the special feature of design. 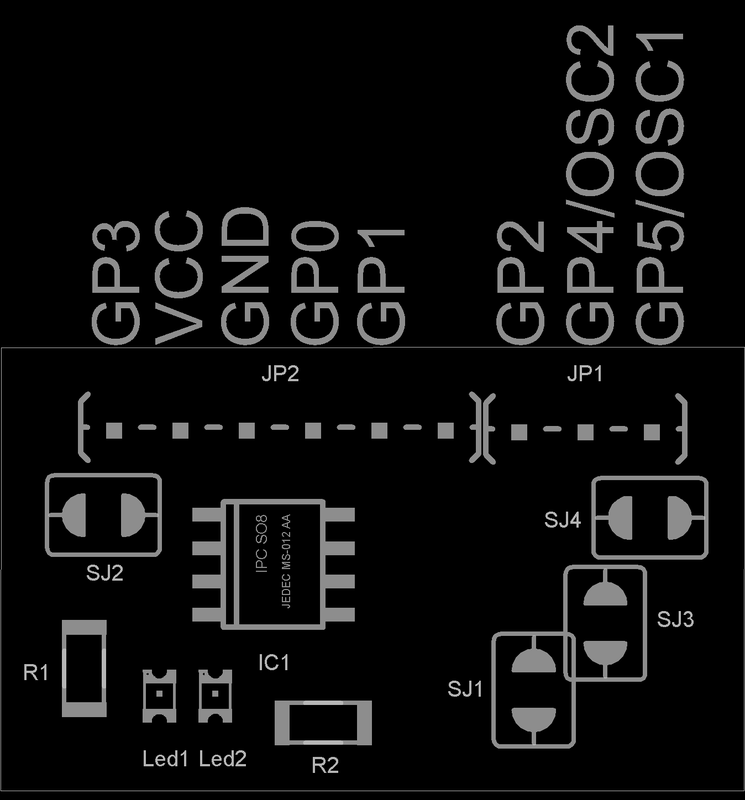 In fact, the access to the ICSP connector for the PICkit2/3 programmer is showed on side of external connections and always on the same side (continuing forward) we can find the others pins of I/O, or in case you need an external oscillator, its reserved oscillator pins. 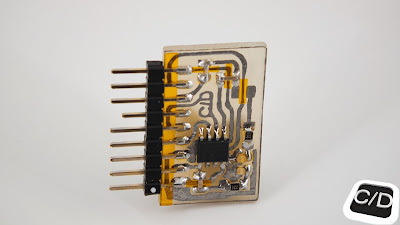 This allows the programmer to be connected directly to development board, even if it's provided of external oscillator, and you never need to remove the programmer to test the code, a nice idea especially in case of serial UART communication. If you're asking how it could have a serial connection, the answer is simple. On board so far we haven't had one, but the problem is easily solved with the adoption of an Open Source BASIC programming tools named Great Cow BASIC (also available in graphical version); here the development site. 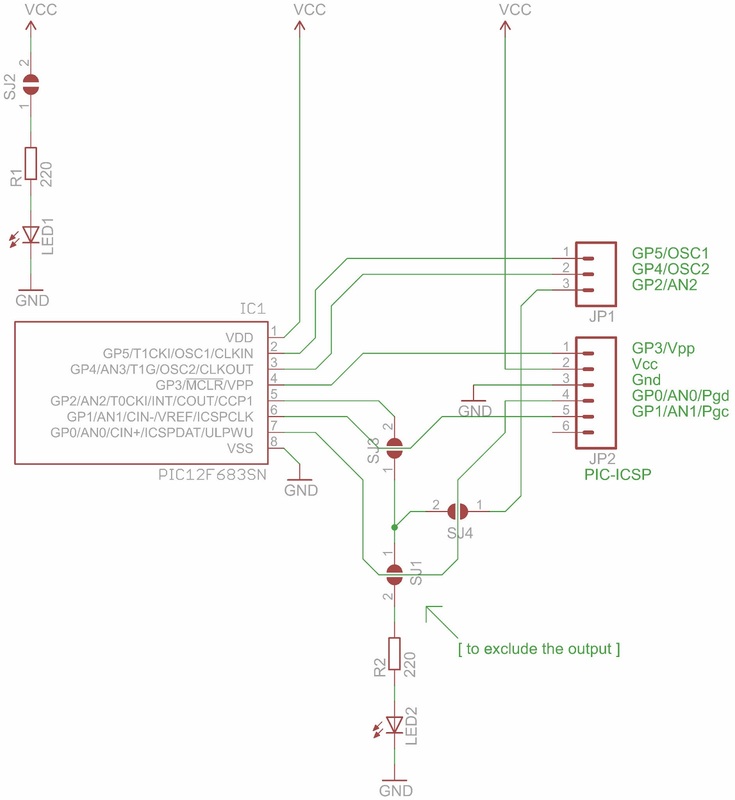 I had the opportunity to test a lot of codes at this way and without having to leave the development board separate from the programmer, which picks up power and communication pins when you're using the UART Tool of PICkit2 programmer. At last, there're two LEDs on board. One reserved to power on and another one for the PWMH output that it's normally open, but that you can close anyway with a removable jumper or just with a soldering piece of wire; useful for projects reserved to current driving if you would like to watch their ongoing behavior. A curious fact is the Name. It sound like "slender" to call to mind the main characteristic of board, that's to be small but even useful anytime anywhere. Link of project on github. Where can I buy slenduino? Excuse Me for delay, but from this blog we don't receive notifications as expected (thanks google). 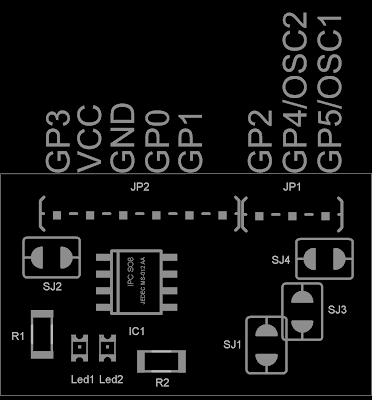 Any way, this project is an open hardware, we don't have (at this moment) a processing line to distribute our board. 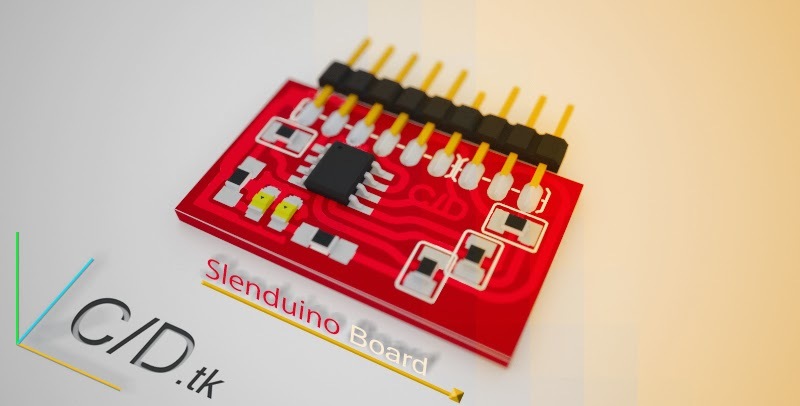 In next future we think to start a crowdfunding campaign for some new development board, but there isn't a campaign for it in mind. Thanks for your support to the project. For future contact, please leave a comment both below and on twitter (to speed up the answer).